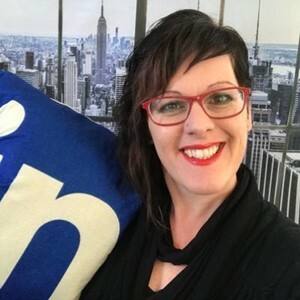 Regarded as an international LinkedIn expert, I am a Social Media Marketing Awards Australia finalist, co-host #TheLinkedInCouch and #LinkedInLocalPerth, and co-authored "Get Good or Get Off - A Guide to Getting it Right On Social Media”. Jo Saunders is an international LinkedIn strategist, author and social media educator who shows leaders and teams how to increase visibility, amplify authority and earn influence using LinkedIn and social marketing tools. She ranked as a top LinkedIn Expert by Klout, and is the only Australian LinkedIn expert to be invited to speak at Social Media Marketing World. She is the co-author of 'Get Good or Get Off - A guide to getting it right on social media' and co-host of #TheLinkedInCouch.